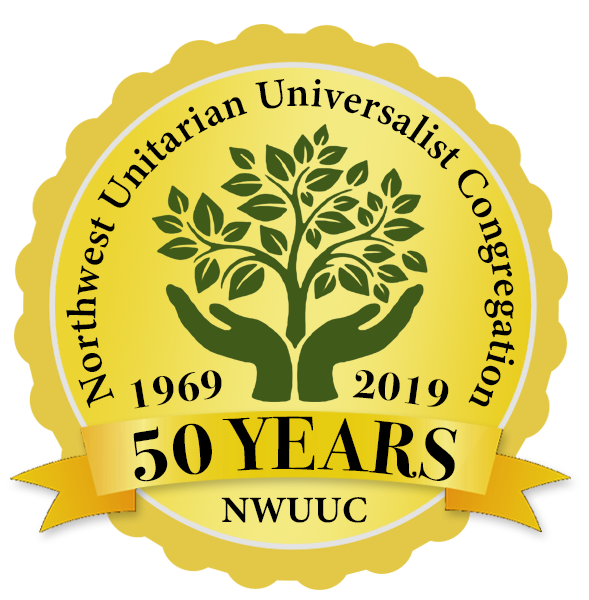 Welcome to the Northwest Unitarian Universalist Congregation of Atlanta. We are a spiritual community that welcomes ALL individuals regardless of race, color, nationality, religion, age, socioeconomic status, gender identity or expression. We’re so glad to have you, and we encourage you to learn more about who we are and what we believe. Please contact us with any questions at (770) 955-1408 or via email at office@nwuuc.org. When do you hold your weekly service? We have one service held in our sanctuary on Sunday mornings at 10:00 am. The service lasts about an hour. Please join us in the lobby following the service for coffee, refreshments, and fellowship. Do you have childcare during the service? Yes. Generally, our children start each Sunday attending our services in the Sanctuary. They observe the first few minutes of the service, have story wisdom at the front of the sanctuary, then the congregation “sings them out” while they walk next door to the chalice house for religious education class until 11:30 am. You are also welcome to keep your child(ren) with you during the service. Learn more about our children and youth programs here. Infants and toddlers have their own nursery and play area provided by staff in the main sanctuary building. The nursery opens about ten minutes prior to service time. There are no expectations regarding dress. Some of our congregants like to dress up but others prefer to dress casually. Please do whatever is comfortable for you. I’m interested in becoming a member. What should I do? You’re welcome to attend our informational session, Northwest 101, to learn more about our congregation. Please contact us to sign up for a session or become a member.